More Spanish black vultures will soon be on the way to France to be reintroduced into the wild. The Vulture Conservation Foundation is organizing one more time the transport of Black Vultures from Spain for the reintroduction project in France. This year 7 healthy individuals were secured, five from Extremadura (which has the largest Black Vulture population in the world, about 900 breeding pairs) and Andalusia (2 birds). All these birds were found injured or with malnutrition in the wild, during September and October, and entered wildlife rehabilitation centers in the two Spanish provinces. After a period of successful recovery, the birds were then donated for the reintroduction project in France by the Regional Governments of Extremadura and Andalucia, and will thus contribute to the successful reestablishment of the species in France. 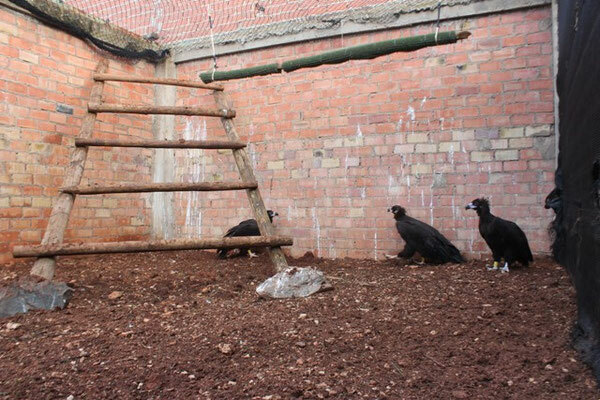 The five vultures from Extremadura have been transferred to the wildlife hospital managed by AMUS (Accion por el Mundo Salvaje) with which the VCF has a collaboration agreement. We are currently working on the final preparations before the transport of the birds to France, including doing different analyses to guarantee that the birds are healthy and fit, and securing all the necessary documents required for international transport of wildlife. The Black Vulture reintroduction project in France started in 1992, coordinated by the LPO (League pour la Protection des Oiseaux). Birds were firstly released in the Grand Causses (Massif Central), where the species had become extinct in the early twentieth century. After releasing a total of 53 birds in the period from 1992 to 2004, the species is now fully re-established, with 20+ breeding pairs in this area. Since 2004 a second reintroduction project was started in two further areas in the French pre-Alps (Baronnies and Verdon). This release program is also very successful, with 15+ pairs now breeding there. The plan is to end the releases in Baronnies next year, and soon after in Verdon as well. The VCF would like to thank the Junta de Extremadura and Andalucia, AMUS, and our French partners, for all the work and this fantastic collaboration. Working together for vultures! 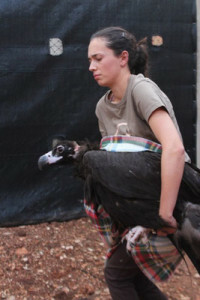 1 comment to More Spanish black vultures will soon be on the way to France to be reintroduced into the wild. Is the Mallorcaian cenre involved in this ?